Our 4-in-1 Pressed Mineral Powder Foundation gives you the flawless mineral coverage you expect from PÜR Cosmetics with groundbreaking skincare ingredients built into our award-winning formula. Our powder foundation is adored worldwide for its lightweight feel and no-mess, no-stress application. This all-in-one foundation, concealer, powder and SPF 15 has been clinically proven to correct, prevent and interrupt your biggest skin concerns – even after the makeup comes off! That's pretty smart beauty. 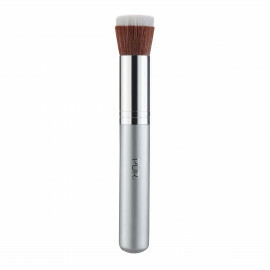 Use the Powder Foundation Brush to dust on 4-in-1 Pressed Mineral Makeup over Air Perfection Foundation. Apply Mineral Glow Bronzer in a “C” formation along temples and under cheek bone to add a golden glow. Fill in and highlight brows with Wake Up Brow Dual-Ended Brow Pencil. Apply Loyal from the Au Naturel Eye Shadow Palette all over the lid. Apply Sincere to outer corners of the lid and lower lash line. Apply a coat of Volume Vixen Mascara. 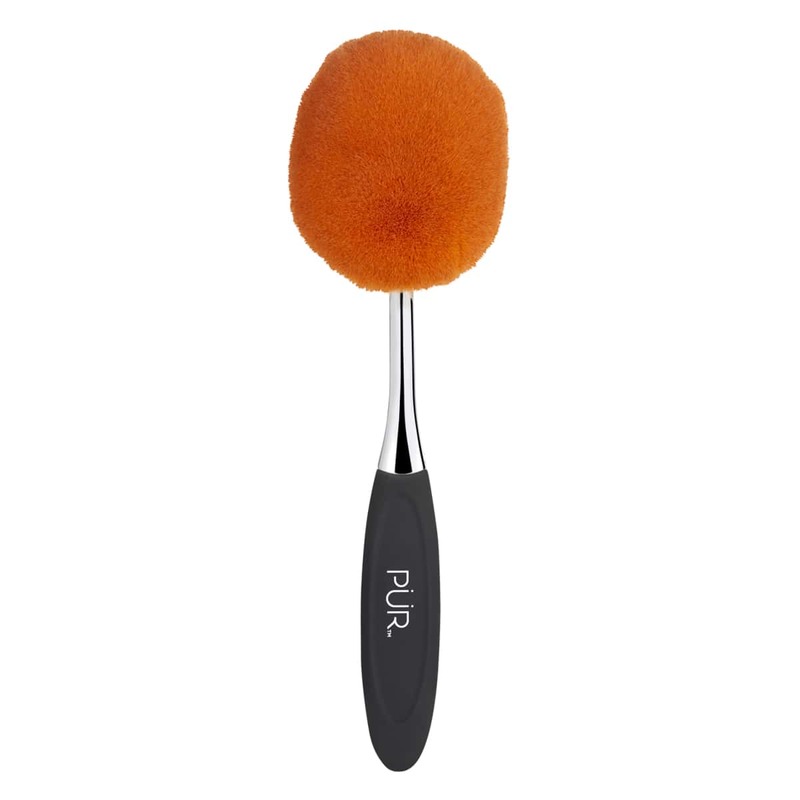 Use the Liquid Chisel Brush to apply Chateau Cheeks Cream Blush in Flirt to cheeks. Talc-free powder foundation that’s been my go-to for 10 years. Feels clean and light on my combination skin while covering dark circles, sun spots and blemishes. I always recommend to others in search of a clean powder foundation. This travel size is ideal for keeping a compact in my purse. I’ve been using the full sized 4-in-1 pressed foundation for years now, and I live it. It’s always smooth and makes my skin look great. The coverage is so good that I hardly have to use any concealer on blemishes. I was super excited to get travel sized for trips! Can’t wait to have this in a teeny tiny makeup bag to save space for cool finds when I visit the UK! Best powder foundation I’ve used to date. The colour is perfect too. Glad I’ve found this product!! Very sheer coverage, but felt nice on the face. My favorite makeup, definitely works best w/a pur primer. Awesome coverage and very natural. If you’re going for a no make up make up look, get this. Couldn’t love this product more. I don’t have to use a lot to get great, long lasting & natural looking coverage. Finding it in a travel size was perfect for me. I no longer have to worry about the bigger size getting cracked or broken while traveling, slips nicely into a bag. I purchased the small size which is ideal for my purse. Have been using this product for a year or so. I feel the coverage is good and I've had no breakouts. I'm 49 so I'll stick with the mineral makeup. I do have to apply more by middle of day. This is an amazing foundation, it blends well and wears all days. I love using it with No Filter, I use a lot less product and my skin has a beautiful heathy glow. This foundation is so great for your skin, and I have not had a breakout since I’ve started wearing it. I really love PUR cosmetics! PUR makeup is the best! This is exactly what I have been looking for. It's a luxurious powder that goes on perfectly with the chiseled brush. I only gave it 4/5 because I need a shade between light and porcelain, but if I mix them it's perfect. I always get the Light shade foundation and really love how it looks. I have ordered it repeatedly, and most recently got one for my daughter who has sensitive skin. She loves it too ! Love the 4 in 1 pressed powder. Very natural looking and the blush medium matches my cooler skin stone which has always been hard to match. I think I tried several times to unsubscribe with no luck. Great products and a very quick delivery thank you. I have combination skin so finding a powder that works for me has been a challenge forever. I was recommended this powder from a co-worker, and this is the best powder I have ever put on my face. It lasts the whole entire day and I never have to retouch it. All the benefits of mineral make up but I adore to use in a pressed form. 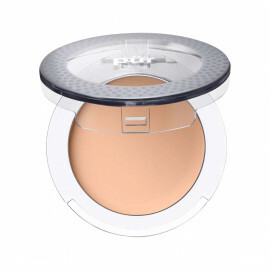 PUR Is the first powder foundation that I feel really give me the coverage and quality of product that I want. Liquid foundation settles into my pores and powder sometimes skated over them. This foundation does neither. Even at the end of the day it looks good. Once it has been on for a little while it melts into our skin and loses the “powder” look. I have been told it looks like I’m not even wearing foundation, but in a good way. This foundation goes on smooth and easy, providing fresh, billable coverage. Unfortunately, my aging skin looked Notre wrinkled and cakey with this product. This is my all-time favorite foundation! I’ve been using it for 8+ years and nothing compares. I get comments on my makeup all the time. I have super oily skin but this goes on so perfectly. However, I do have to touch up and blot throughout the day, but that’s not a dealbreaker for me because my skin is so oily it’s hard to find something I don’t have to touch up. I love this product because it’s a 4-in-1 so it’s quick, easy, and gives me great coverage! Love it. Great coverage that lasts and doesn't stay in creases. This is my favorite foundation. Quick to apply and great coverage! Amazing product, I will never go back to any other makeup company for my concealer, foundation or primer! It makes my skin feel and look so much more healthy due to the fact that this makeup is GOOD for your skin. I recommend this product to everyone at work and outside of work! I love this product! It gives great coverage. I have never experienced a breakout or skin reaction from using this product. I absolutely recommend it! This is my favorite foundation. I have tried others but keep coming back to Pur. I absolutely love this foundation! It makes my skin look and feel wonderful! Has EXCELLENT staying power too. Doesn't sink into fine lines or pores. Awesome coverage! Definitely my new go to. Works better than the stuff I usually pay twice as much for!!! It's okay a little lighter than I thought! Love the 4 in 1. 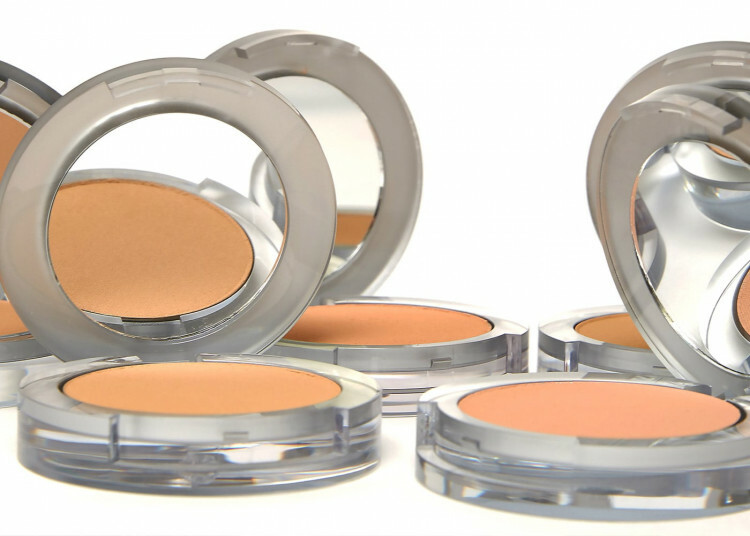 It's light and provides the perfect coverage! Bought to take for travel, perfect size. I have the full size one at home. Goes on great and blends perfect with my skin tone. Nice coverage and light without looking to cakey or powdery. Love this product and have been using it for years. It gives good coverage without feeling heavy. Clean and easy to use! This is the best product I've ever found/used! The coverage is perfect and the powder is light and you feel fresh when wearing it. Also the range of colors is great! I was really impressed with this! It is super light, but covers well. Also seems to add a glow to my face :).....it doesn't take mych to cover entire face either! Love, love, love this product! Would recommend. This is my very favorite foundation. I have been using it for about 3 years and will always buy it. It covers perfectly. Light and feels like you aren’t wearing any makeup. I have been using this powder for about 5 years. It matches my skin tone perfectly and has great coverage even though it is light and non noticeable. I am older so I have dark spots and sun damage, the powder is great at evening out these spots. Love it! 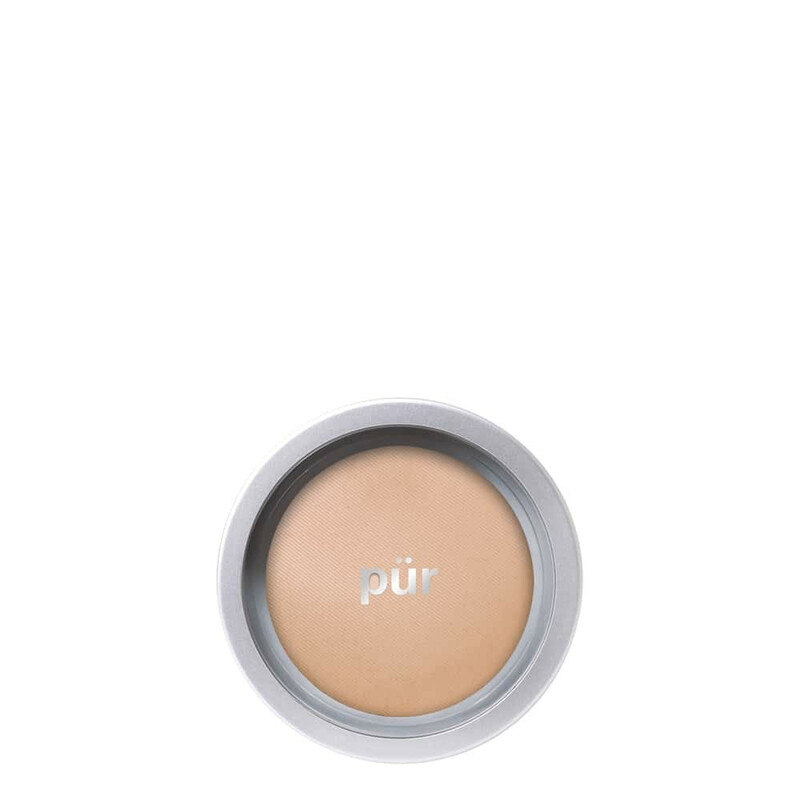 I’ve always love Pur cosmetics bc the price is perfect and the coverage is not heavy and makes my skin look flawless..
I’ve always loved this foundation. Covers up my redness and isn’t cakey. Love this product. I have bought them for my daughters and have recommended it to my friends who complimented me and asked me what I use. I can use this powder alone with excellent coverage or lightly brush it over my Pur foundation! I have been using this foundation for many years and absolutely love it. It goes on smoothly to cover any imperfections and lasts all day! I am acne-prone and have suffered with cystic acne for as long as I can remember. At 28 years old my skin was still breaking out, although less cystic and more just random tiny painful pimples. Suddenly all my foundations were making my skin break out more. Every day I would break out in tiny painful pimples and as soon as I washed my makeup off at night it would feel better. I researched natural products and came across Pur in Shopper's Drug Mart. There was a sample box for $50 with a foundation, mascara, primer, brush in it. I took a chance and it changed my life! I have always felt I needed high coverage and luckily this product is buildable. Within one day I noticed a difference... I didn't break out! And within a week my skin was visibly clearer. 2 weeks later my acne scars had faded and I had no new pimples. Now because of the price tag I decided to go back to my same old cheap drug store brands and within a few months I seriously regretted it. Bought this foundation again and remembered how much I love it. Far less oily, skin is brighter, acne is healing, and my skin doesn't feel heavy and cakey throughout the day. I love this product! As always...perfect coverage and not heavy on the face. Been wearing it for years!! I am acne-prone and have suffered with cystic acne for as long as I can remember. At 28 years old my skin was still breaking out, although less cystic and more just random tiny painful pimples. Suddenly all my foundations were making my skin break out more. Every day I would break out in tiny painful pimples and as soon as I washed my makeup off at night it would feel better. I researched natural products and came across Pur in Shopper's Drug Mart. There was a sample box for $50 with a foundation, mascara, primer, brush in it. I took a chance and it changed my life! I have always felt I needed high coverage and luckily this product is buildable. Within one day I noticed a difference... I didn't break out! And within a week my skin was visibly clearer. 2 weeks later my acne scars had faded and I had no new pimples. Now because of the price tag I decided to go back to my same old cheap drug store brands and within a few months I seriously regretted it. Bought this foundation again and remembered how much I love it. Far less oily, skin is brighter, acne is healing, and my skin doesn't feel heavy and cakey throughout the day. I love this product! Great foundation. It's light and does a great job covering blemishes while maintaining a natural look. Will definitely buy again.